Read the updated version of this article! Tripadvisor is the the world’s largest travel site, with over 200 million reviews. Almost 4.5 million locations have a Tripadvisor Page: almost every restaurant, hotel, pub, cafeteria, bed & breakfast has one or more reviews. How to show Tripadvisor reviews in the WiFi splash page? Take a screenshot of the element you want to show. 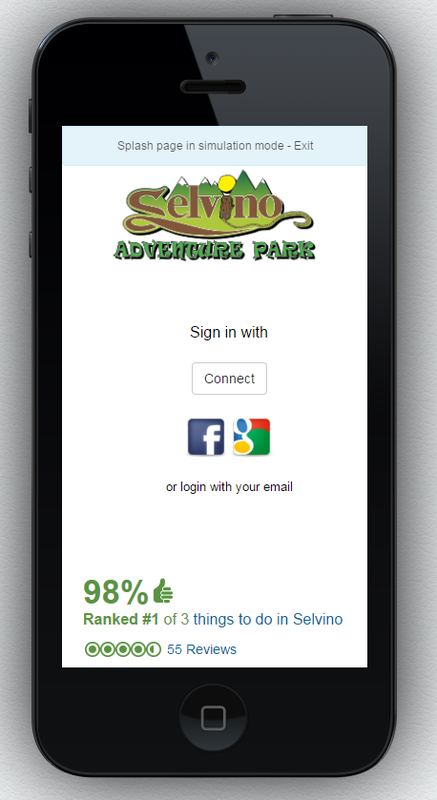 For example, I took this screenshot from the Tripadvisor Page of an adventure park. FOOTER IMAGE URL = You can use the Tripadvisor Logo, or a “Rate us on Tripadvisor” button. I uploaded the screenshot below. If you don’t see the “Footer image URL” and the “Footer image link” fields, contact support@tanaza.com. Simulate your splash page. It’s ready!